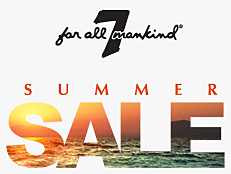 7 For All Mankind is offering discounts up to 60% off already marked down items Click here to shop now! 30% OFF SITEWIDE SALE AT 7 FOR ALL MANKIND! SHOP NOW!